Larger groups love the 25 passenger minibus because of its size, efficiency, and amenities. Larger than a traditional car and providing more intimate riding experiences than public transit, minibuses keep your group unified and relaxed during both short and long distance trips. Whether you’re planning a day trip, attending a wedding, or anything in-between, the 25 passenger minibus is the perfect solution for your travel needs. 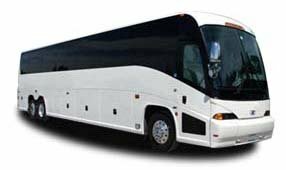 Atlanta Charter Bus Company accommodates groups of all sizes, and is ready to serve you any time. No matter the event--whether its a wedding, school event, sports competition, corporate meeting, or anything else--we have the resources needed to ensure you get where you need to go. Call us today at 404-474-7769​ to learn more about how we can assist you.